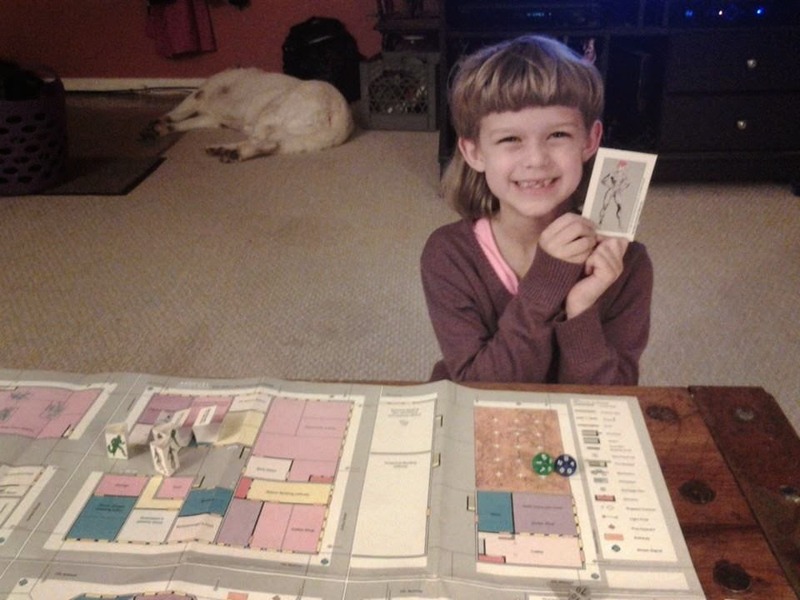 When I posted the picture of my daughter, Kira, playing the Marvel Superheroes RPG earlier this week, it generated a lot more feedback that I thought it would, all of it positive. That got me to thinking about playing games, specifically Role-Playing Games with kids. Just to warn you, I am going to be covering a good amount of ground that Shag and I did on an episode of The Hammer Podcasts!, but I think it's worth it. First of all, playing games, of any stripe, is a great way for families to come together. Much like our house rules against video games or cell phones/tablets being prohibited during the week, this is a way for all of us to interact. In fact, we just played Uno last night, so any kind of game will do. I highly encourage setting up a family game night for your kids. I like the idea of Role-Playing games for several reasons, though. Mainly it's the use of imagination. As we get further down the technology road, kids are required to use their own innate imaginations less and less. Everything is just shown to them on the screen, whether from TV or video games, and there are fewer blanks for them to fill in. By playing a pen and paper RPG, however, they have to try and picture what's happening in their head, as well as think about what to do. Which brings me to my next point, critical thinking. There are always limitations in any kind of video game, not matter how open world it actually is. That's just a fact of their programming. Either the code says you can do this or not. Games like Marvel Superheroes allow for solutions of many different types, which also means that the players much think about the choices and decide what is the best option for all concerned. Kira, at one point, chose to fire a gas capsule at the Scorpion and a Thug, knocking out the Thug without her throwing a punch. Personally, I think that was a great idea, and I told her so. What this all boils down to, in my mind anyway, is that there are far fewer things more rewarding than seeing the smile on my daughter's face when she wins the encounter by roundhouse kicking the bad guy in the face. You can bet we're going to be playing again, and maybe we'll roll her up her own character this time. UPDATE: We sat down the other day and Kira rolled up The Hedgehog, a mutant with Weather Control, Emotion Sensing, and Projectile Quills, along with Am (50) Strength!